Linear Alkyl Benzene Sulphonic Acid (LABSA), also known as Soft Acid Slurry. Linear Alkyl Benzene Sulphonic Acid (LABSA) - Soft Acid Slurry is main Raw Material for Synthetic Detergent industries in the formulation of Washing Powder, Detergent Powder, Detergent Cake, Liquid Soap, Cleaning Powder, Scouring Bar, Oil Soaps etc. 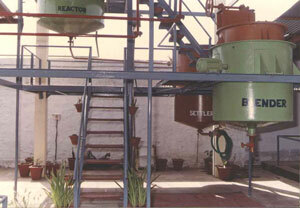 Spent Acid is used by manufactures of Alum, Ferrous Sulphates, Super Phosphates etc.